Joe Breker discusses no-till seeding with a group of lodge guests in a field of soybean residue. There is a lot of talk these days about environmental stewardship. The rhetoric can get awfully hot and oftentimes the message gets lost in a political tug-of-war. It’s hard to hear the voices of reason when outspoken personalities in the culture are saying the world will end in 10 years if we don’t all subscribe to some new radical way of life. It’s easy just to tune it out. Most people genuinely do care, they just don’t buy into the hype. The fact is, they’d be happy to learn about reasonable changes they can make in their lives if they were confident it would make a difference. From our perspective, there is reason for concern, but there are things happening that give us a reason to hope for a bright future for generations to come. That’s coming from people who know a thing or two about the environment. We are farmers. We are the stewards of one of the earth’s most important resources. Soil. This is where conversations about soil conservation begin. 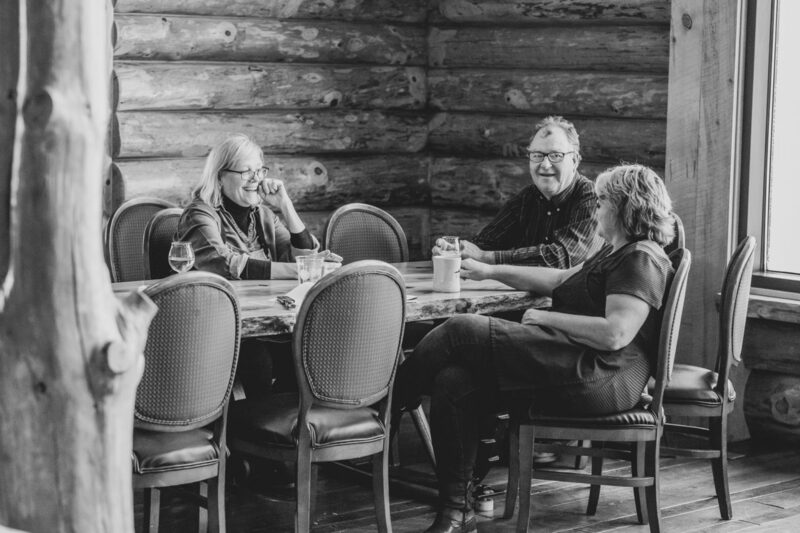 One of the main reasons Coteau des Prairies Lodge exists is to provide a place where people from all over can stay and have a real experience on a modern family farm. Where conversations over coffee about farming can lead to a pickup ride out to the field for a soil health demonstration. That’s right. Our soil’s health can be visually demonstrated and measured. We do this all the time. It’s part of our DNA. Young Clarence Breker late 1920’s. In his college days at NDSU in the late 1970’s, Joe Breker learned about a little known method of soil conservation called no-till that made him think back to childhood conversations he had with his father Clarence. Clarence lived through the dust bowl of the 1930’s when wind swept up the drought ridden soil and the sky turned black. He witnessed fields literally blow away. It was largely the result of widespread tillage. 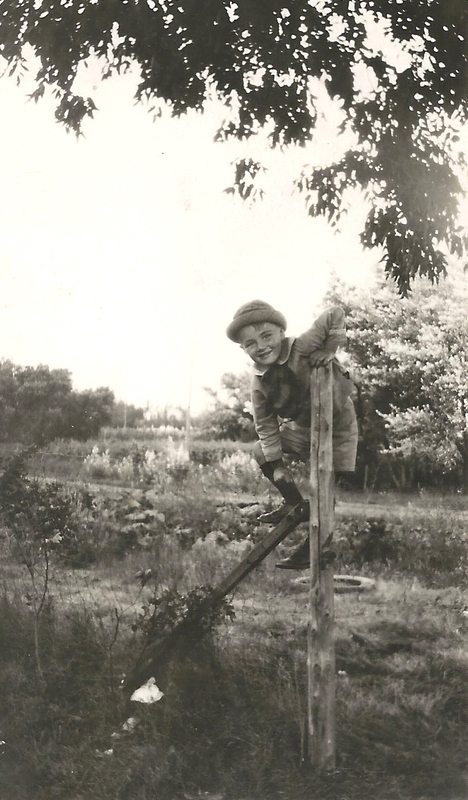 This was something that always troubled Clarence, a farmer. 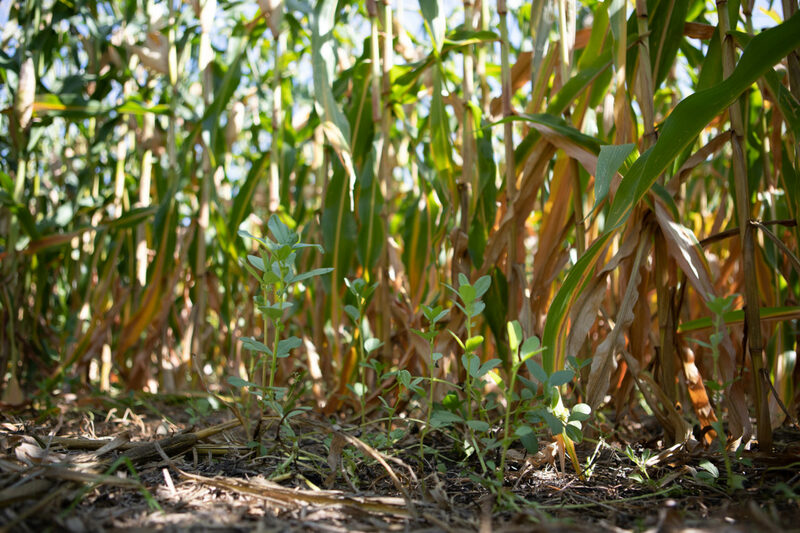 When Joe first heard about no-till farming, it was still just a theory in some respects. The equipment needed to do it wasn’t even invented yet. 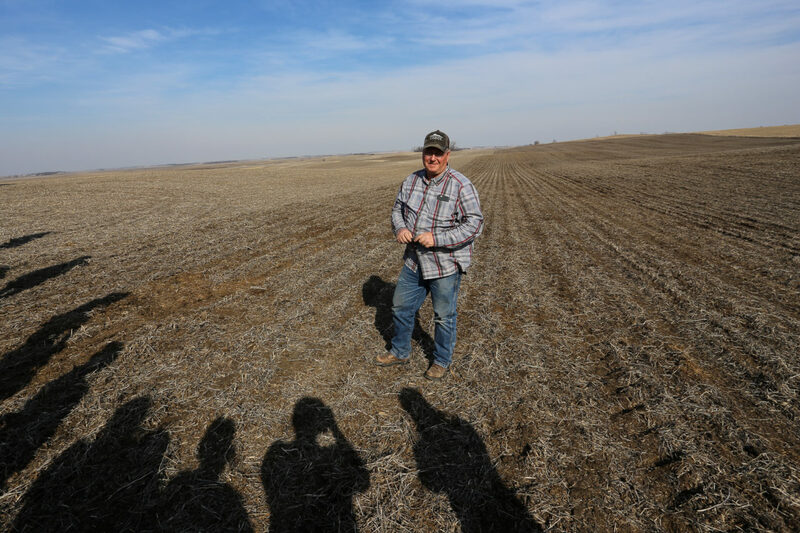 When he sought out other farmers who were trying no-till, he did find a couple of them in North Dakota, but had to drive several hours just to meet them and see their operations. It was cutting edge. It was even a little weird. That was 40 years ago. Much has changed since then in the world of farming and soil health. Today, no-till and other related soil conservation practices have become widely adopted and are continuing to gain popularity. These practices are contributing to a slow but sure recovery of lost organic matter and biodiversity in soils on farms across the country. What may be more impressive, and what catches the attention of potential converts, is the effect on the bottom line for producers. It is a fact that farmers can do right by their soil and also do right by their business. That to care for your soil is to sacrifice profits is a common misconception soil conservationists have battled for decades. Joe has been an advocate for soil conservation since the early days in his farming career. He has spoken to thousands of farmers in fields, classrooms, bars, buses and banquets across the region. It is fitting to call him a pioneer. A cover crop is sprouting in a late summer corn field on Joe Breker’s farm to maintain soil vitality. Click HERE to view the article in Successful Farmer. 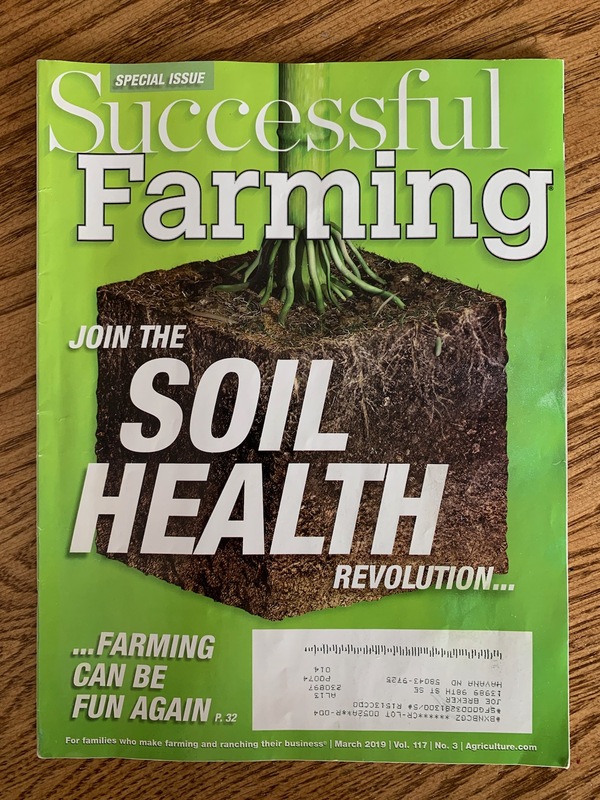 Are we approaching the tipping point where society recognizes the benefits of responsible soil conservation practices and the remaining land stewards join the soil health revolution? Are we to the point where we can transition from the nostalgia of red barns and black tilled fields to lush cover crops and no-till drills? We’re not here to issue dire warnings or get political. We are trying to prevent the mistakes we’ve made in the past and preserve our land for future generations. There is a smarter, more responsible way to farm. We are here to have that conversation. This blog post was written by Phillip Breker, Director of Events and Marketing at Coteau des Prairies Lodge. He is also Joe’s son.